Grew Up… as close to a princess as a pretty girl from an affluent suburban neighborhood can get. Alison was adored and spoiled by her parents, while the entire town of Rosewood both feared and respected her. Living… disappeared and presumed dead. Or maybe she’s just completely off the grid, if we’re trying to remain optimistic. But for now it seems that she’s probably lying in a ditch somewhere. 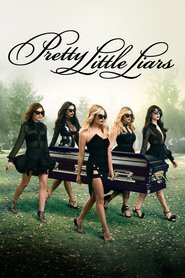 A year ago, Alison – Rosewood’s beloved It Girl – went missing without trace or explanation. That doesn’t seem to change no matter how many times Alison’s friends are dragged into the police station for questioning. Interests… fashion, hot boys, and playing piano. Alison was never unaware of whoever the hottest boy is in a ten-mile radius – and she was never not wearing the perfect thing to ensnare him. Relationship Status… ambiguous and secretive. Whether Alison was hooking up with a cute older boy at a frat party, meeting someone secretly in the woods behind her house, or leading on one of her friends with a stolen kiss, that was her business. And as far as the rumor mill goes, well… clearly she was with anyone who was hot enough to deserve her. Alison DiLaurentis's popularity ranking on CharacTour is #164 out of 5,000+ characters. See our top-ranked characters and read their profiles.